The tax experts at LMR & Associates are committed to providing our clients with the highest quality service at a reasonable cost. We leverage decades of experience in personal and business tax preparation to deliver the most cost-beneficial return with a focus on exceptional customer service. 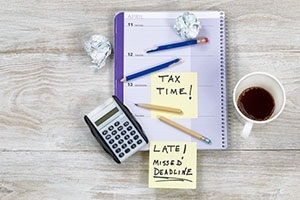 Our tax professionals take the extra time to understand your needs, both business and personal, and use this information to maximize credits and deductions that help you reduce liabilities and ultimately, save as much money as possible. Whether you need personal tax assistance or preparation for small to midsize businesses, the professionals at LMR & Associates have the knowledge and experience you can trust to provide accurate, comprehensive returns. Our team is dedicated to understanding the existing tax code and staying informed of changes that we can leverage to benefit your bottom line. Beginning with a broad knowledge base and utilizing continuing education and training, our experts will provide you with the most reliable tax preparation services at a reasonable cost to a diverse group of taxpayers and situations. For small to midsize businesses, our experts specialize in a variety of industries. Whether your business has one location or is spread across multiple states or countries, we are dedicated to understanding your unique tax situation and taking advantage of credits and deductions to improve your bottom line. Let our team take the stress out of preparing and filing your individual tax return. From students to seniors, our friendly staff will maximize the credits and deductions you qualify for, and prepare your return quickly and accurately. Our goal is to put as much money as possible back into your pocket. Beyond preparing traditional tax returns, the professionals at LMR & Associates are qualified to prepare trust, gift, and estate tax filings. You can be confident that our accuracy and attention-to-detail will help you file on time and avoid costly penalties due to errors or lateness. For additional information on our comprehensive tax preparation services or to set up an appointment with one of our tax experts, please call (734) 266-8120 today.